Bring out the boho chic in you with the Chic Wedding Bracelet and Ring combination. Be the bee’s knees with this bohemian inspired and delightfully unusual bridal jewellery piece. Boho chic personified! Made up of three individual settings hand embellished with pearls and diamontes. 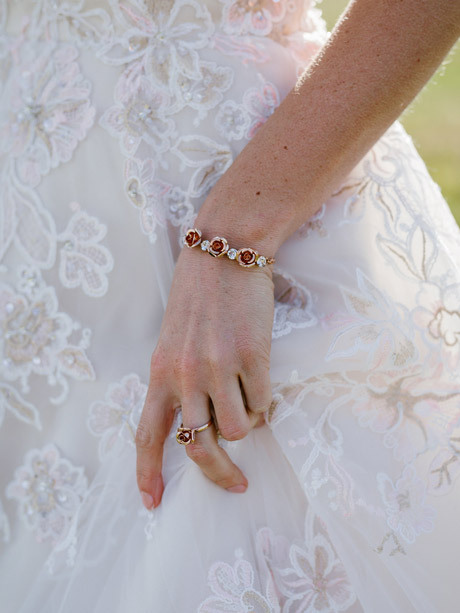 The Chic Bridal Bracelet Ring is a statement piece of bohemian proportions. 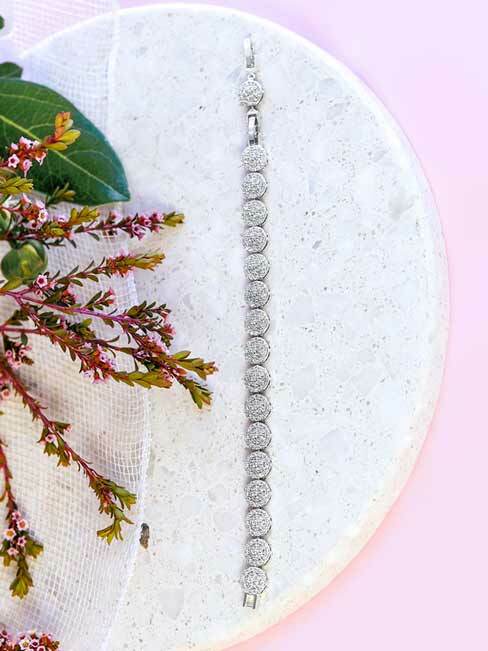 This majestic bracelet connects to a matching ring via three diamonte chain links. So you can wear on the left hand, opposite your wedding ring, or wear two and step outside the box. This feature piece will love you as much as you love it and make an unrivaled statement. 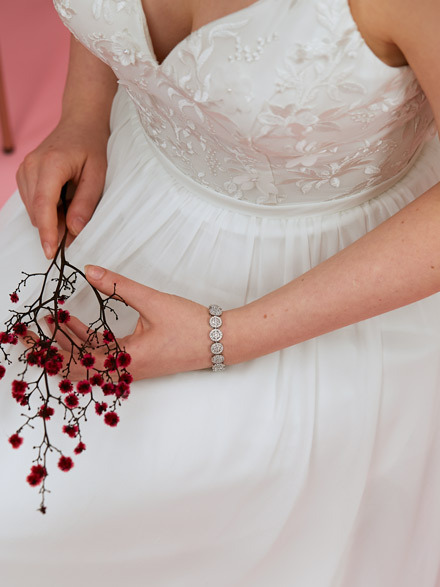 Bridal Bracelet is exclusive to Hello Lovers and cannot be found anywhere else. Size: Bracelet length 20cm including 3 cm of adjustable chain. Joining chain is 11 cm, ring feature 3.5 cm and 2.5 cm wide. Other Chic wedding jewellery pieces in this collection. Consider matching the Chic Wedding Bracelet Ring with the Chic bridal earrings for a true bohemian inspired look. 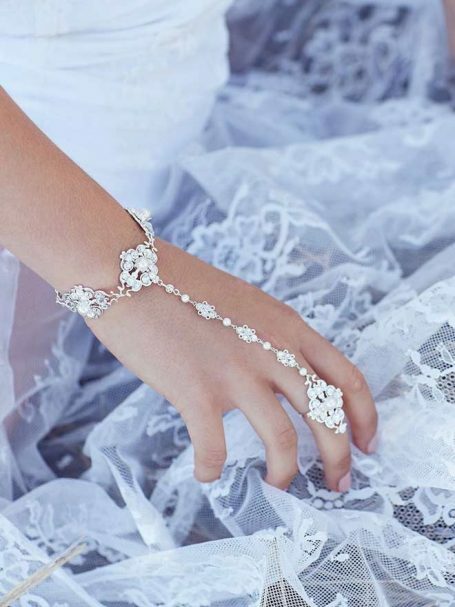 Additionally, the true boho queen will be tickled by pairing this unique piece with the Chic Wedding Anklet or even two. If a no-shoes beach wedding is on the vision board. Other pieces in this collection include Chic wedding necklace and bridal bracelet. Jewellery and wedding dresses designed for people who live unconventional, artistic, lives. 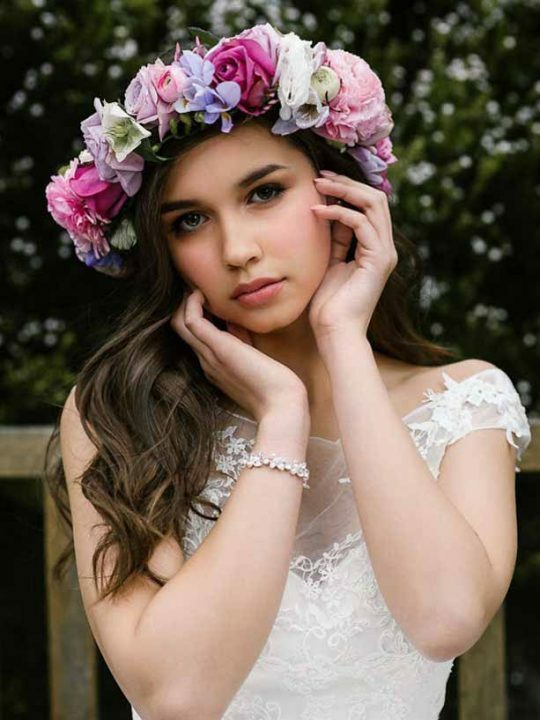 This boho inspired range is for the care free bride to be.